My name is Sara, and it sure is a pleasure to meet you. 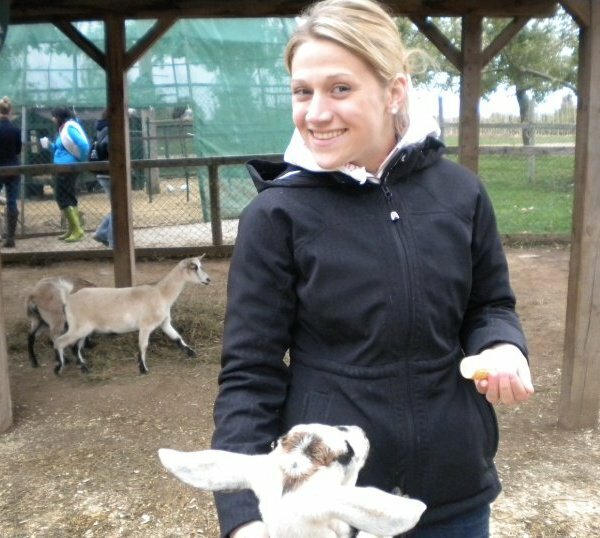 I live and work in the Greater Toronto Area and have all of my life. By day, I sit at a desk and by night, I teach Les Mills Group Fitness classes! I first stumbled into teaching at a time when I was extremely fragile and weak, both mentally and physically. I was overweight and unhealthy and struggled with extremely low self-esteem. When I woke up each morning, my only goal was to get through the school day without anybody noticing that I was there or saying anything cruel to me. I truly believe that teaching fitness classes saved my life. Working out in the studio taught me what passion feels like. For years I had gone through the motions of living, and I was happy enough. But it wasn’t until I walked through the doors of my first Les Mills fitness class that I really came alive. Through teaching, I have discovered that I am so much stronger mentally and physically then I ever gave myself credit for. That girl that used to slink through days with her head down and hide from the world? She’s gone! I’ve found my passion, and it brings me alive every single day! It has been quite a ride since I started this blog in October of 2012! Going the Distance started out as a chronicle, journal, self-outlet for documenting my training for my first ever IronMan 70.3 (or for that matter, my first ever triathlon, period!) in September 2013. *Spoiler Alert*: I did it!! I set the goal to complete the IronMan because my family and I had had one too many reminders in 2012 that life is too short to put off doing things because you are afraid of them. Over 9 months, we saw 1 family member and 2 family friends suffer a stroke, my husband (then boyfriend)’s ex-roommate killed in a terrible motorcycle accident at the age of 22, 2 family members endure heart attacks, 1 family friend diagnosed with MS and most heavy on my heart, 1 dear, dear family friend lost to a brain aneurysm. In 2012, we learned that life is short and can be hard. But we had no idea how hard. In March of 2013, 6 months into my IronMan 70.3 training and 6 months from race day, my family was hit by a train. And that train was called Cancer. My 20 year old brother was diagnosed with Acute Lymphoblastic Leukemia, and our world was turned upside down. In a time where the world went truly dark, I clung to the light in the studio with everything that I had. It was the only place that made sense to me. In October of 2013 (one month after the IronMan 70.3!) after conventional treatments had failed, my brother opted to enter a clinical trial whereby they would transplant my stem cells into him, although we were not an identical match. The transplant was a success, and we celebrated 2 years cancer-free in October of 2015!! For some reason, my family was granted a miracle. Since October of 2013, so many truly wonderful things have happened. I took on my first full marathon and raised nearly $11,000 for the Leukemia & Lymphoma Society of Canada as part of Team in Training in June of 2014. 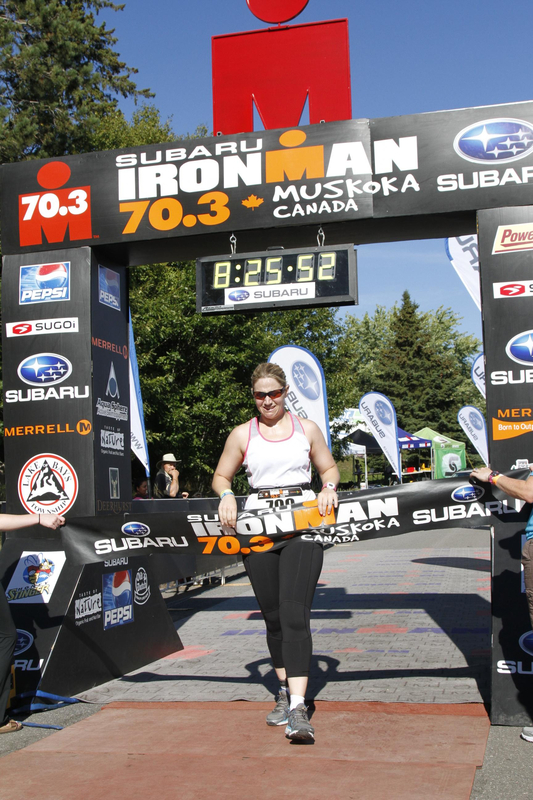 I went back to Muskoka and completed the IronMan 70.3 for a second time in September of 2014 (and took a few minutes off of my time!) with Matt’s family and even my own mom! I traveled to New Orleans and Chicago on truly incredible, life-changing trips with Les Mills. Life is so good, and I can honestly say that I am the happiest I’ve ever been. My commitment to this blog has never wavered, although it’s been a real challenge to stay up to date over the past year as we have been planning our wedding and living so joyously. In 2016, I have plans to overhaul this space, to bring the light, the love and the laughter back to it, and most importantly to inspire others to find their light as well. So….here’s to an incredible year together. Thanks for taking the time! Such an inspiration! I’ve got your back 210%! Go get ’em girl!! !